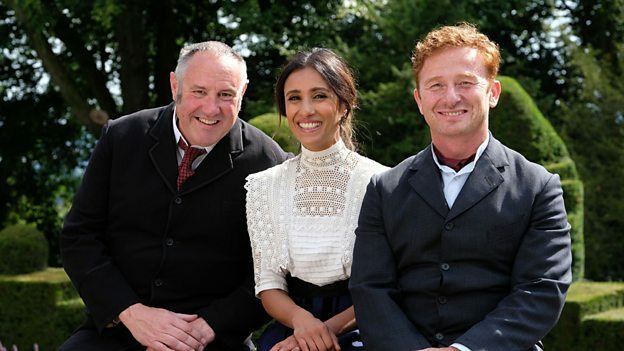 ‘The Victorian House Of Arts And Crafts’ is the name of a new BBC Two series presented by Anita Ranim, alongside potter and ceramic designer Keith Brymer Jones (who is head of design at housewares company MAKE International) and arts and crafts expert Patch Rogers. Due to air in early 2019, the four-part show will transport six craftspeople back in time to experience the ideas and practices of Arts and Crafts visionaries William Morris, John Ruskin and Gertrude Jekyll. The broadcaster said: ‘Formed in protest against the dehumanisation of workers and mass-produced goods, these pioneers felt a return to nature, and taking a pride in handcrafted goods, would enhance their lives and create a better society. But will it work today and what, if anything, can the craftspeople take from the experience that might enrich their lives in the modern world? Forming a community and living and working collectively, the craftspeople must decorate and furnish four key rooms – one per episode – making everything from scratch, inspired by nature and in keeping with the rules of the movement. The group will make hand-printed wallpaper, bespoke craft furniture, furnishings and ceramics, using archives and original source material.